If you say so. It pretty accurately sums up how you left wingers feel about the whole situation though. Answer me this though. If the "crime" you were investigated of was bull**** from the get go, how can you obstruct something that didn't exist in the first place? I only ask because since the mewler report failed so spectacularly, obstruction seems to be the new rallying cry of the msm and the left. The first reasonable thing I've read in any of these threads. It's funny to watch everyone here parrot the Russia Russia Russia line and pat themselves on the back for how clever they are. I'm 43. I was just getting out of high school when the ban took effect. 2 years removed from the high school mass shooting I was in the middle of in 1992. it was like the pre columbine, columbine. I didn't get interested into digging into it more though until around 1996 or so. I'll take a stab at this one. Are you aware of the provisions of the 94 awb? It was unenforceable drivel and a piece of feel good legislation that was more of an inconvenience to gun owners than anything. It sent prices for "preban" magazines through the roof though. It basically banned high capacity magazines (but not already existing ones) post ban lowers were converted to "pre-ban" weapons, i.e. I don't know Mr. ATF man, I had this rifle built years ago. I bought it in 1994, etc. Nobody was ever charged or went to jail for offenses during that ban though, that I am aware of. Gun shows had tons of magazines with LEO/MIL only stamps. There were ways around the ban which led to guns like the m4gery, xm15, etc. Exactly the same functionally but complied with the ridiculous law. Really the ban just banned scary looking features. High cap mags, threaded barrels, bayonet lugs (REALLY?? bayonet lugs??) collapsible stocks. However to my recollection, nothing was ever confiscated outright, no ATF raiding parties in the middle of the night, etc. as for the 2nd part of your question, Even if the ban were still in place, it was a toothless inconvenience. Preban magazines were still available, hell even post ban LEO ones, they just cost more. The XM15 was no less functional than a preban ar15, you could still buy them new during the ban, they just looked goofier. So, no. It probably would not have changed a thing, since essentially the same guns and magazines were still available. Just more costly. What has happened since that ban expired is an absolute explosion in manufacturing capability. There are TONS of companies out there now that make lowers, uppers, barrels, parts kits, hand guards, optics, etc. You can build a barebones ar15 for $350-400 these days, which was unheard of back then. ammo prices are starting to come down from the obama panic days as well, so it's a buyers market now. It's my opinion that that awb sunsetting coupled with 8 years of the obama presidency are responsible for the explosion in manufacturing, and have put more guns in the hands of gun owners than any NRA backed push could ever have done. There was money to be made when obama got elected because of fears of another ban, and companies ramped up the manufacturing on basically everything, magazines, lowers, uppers, etc. The whole market is so awash in literally everything it has dropped prices down to rock bottom levels we (gun owners) never thought we'd see. So my wallet says thanks Bill and Barry! New freaking Zealand doesn't have a 2nd amendment though. They see gun ownership as a "privilege" not a right. This is the same New Zealand that is threatening prison sentences of up to 14 years for sharing that video, and has the thought police who can charge you with a crime for being unkind on the internet, under their harmful digital communications act. Model country to look up to, no doubt. Ok so maybe hyperbolic but the rate things are going ain't looking good. It's more than spewing bs about a blue map. Yeah it's all fine and dandy for now, but like I said, the state is increasingly voting and turning blue. did you read the bills going to committee this year? These give me a pretty good idea of the mood of the people there (not all) and their elected reps. And this list isn't even all of them. Senate Bill 1008, sponsored by Senator Adam Ebbin (D-30), and Senate Bill 1163, sponsored by Senator Richard Saslaw (D-35), contain very broad and overreaching language to ban items that increase the rate of fire of semi-automatic rifles, but do not fundamentally alter the way they operate. It could be interpreted to ban firearm modifications such as match grade triggers, muzzle brakes, and ergonomic changes that are commonly done by law-abiding gun owners to make their firearms more suitable for a variety of lawful purposes. Senate Bill 1084, sponsored by Senator David Marsden (D-37), would impose a vague and unpredictable standard of firearm storage upon law-abiding citizens and make them civilly liable for injury resulting from actions by a criminal who acquires a firearm stored in a non-compliant manner. Senate Bill 1096, sponsored by Senator Janet Howell (D-32), would restrict the ability of young people to use firearms for lawful purposes and increase penalties on adults who violate it. Senate Bill 1162, sponsored by Senator Richard Saslaw (D-35), would criminalize private firearm transfers and deny adults under the age of 21 their Second Amendment rights by prohibiting them from purchasing firearms. Senate Bill 1164, sponsored by Senator Saslaw, and Senate Bill 1454, sponsored by Senator Louise Lucas (D-18), would criminalize private firearm transfers. Senate Bill 1303, sponsored by Senator Edwards (D-21), would allow local governments to prohibit law-abiding citizens from carrying firearms for self-defense at meetings of the local government body. Senate Bill 1324, sponsored by Senator Jennifer McClellan (D-9), would further victimize law-abiding gun owners who suffer loss or theft of their firearms if they do not report them within a certain time. Senate Bill 1446, sponsored by Senator Mamie Locke (D-2), would reinstate a handgun rationing law that was in place from 1993 until it was repealed in 2012. It would limit handgun purchases to one per 30 day period. Senate Bill 1458, sponsored by Senator George Barker (D-39), would allow for individuals to be stripped of their Second Amendment rights without due process on baseless accusations. Senate Bill 1473, sponsored by Senator Creigh Deeds (D-25), would allow local governments to suspend Second Amendment rights at public events. Senate Bill 1482, sponsored by Senator Deeds, would add Albemarle county and the City of Charlottesville to the jurisdictions in which law-abiding citizens are not allowed to carry certain firearms without a concealed carry permit. House Militia, Police and Public Safety Committee – Subcommittee #1 House Bill 1654, sponsored by Delegate Sam Rasoul (D-11), would prohibit law-abiding citizens from carrying long guns in certain jurisdictions without a concealed carry permit. House Bill 1856, sponsored by Delegate Delores McQuinn (D-70), would allow local governments to prohibit law-abiding citizens from defending themselves while visiting public libraries. House Bill 1992, sponsored by Delegate Cia Price (D-95), would allow local governments to enact their own gun control ordinances, potentially resulting in a patchwork of laws and the Second Amendment not being equally protected across the state. House Bill 1644, sponsored by Delegate Jeffrey Bourne (D-71), would further victimize law-abiding gun owners who suffer loss or theft of their firearms if they do not report them within a certain time. House Bill 1691, sponsored by Delegate Marcus Simon (D-53), is a vaguely worded attempt at banning “undetectable firearms” already banned under federal law. It would likely ban many commonly owned firearms made with modern materials that are not actually undetectable. House Bill 1763, sponsored by Delegate Rip Sullivan (D-48), would allow for individuals to be stripped of their Second Amendment rights without due process on baseless accusations. House Bill 1899, sponsored by Delegate John Bell (D-87), would remove the option for conceal carry permit applicants to use an online or video instruction course to satisfy the training requirement. House Bill 1956, sponsored by Delegate David Toscano (D-57), would allow local governments to suspend Second Amendment rights at public events. House Bill 1957, sponsored by Delegate Toscano, would allow courts to restrict the self-defense rights of parents who have a child in their household found to be needing services or who is a status offender. House Bill 2244, sponsored by Delegate Sullivan, would expand the misdemeanor offenses that would result in a loss of Second Amendment rights. House Bill 2285, sponsored by Delegate Cliff Hayes (D-77), would restrict the ability of young people to use firearms for lawful purposes and increase penalties on adults who violate it. House Bill 2372, sponsored by Delegate Patrick Hope (D-47), would impose a one-size-fits-all set of firearm storage requirements for family day homes, including requiring that firearms and ammunition be locked separately. House Bill 2399, sponsored by Delegate Alfonso Lopez (D-49), would allow state police to delay firearm transfers up to five business days to process instant background checks instead of the current end of business day requirement. House Bill 2479, sponsored by Delegate Kenneth Plum (D-36), would criminalize private firearm transfers. House Bill 2492, sponsored by Delegate Kathy Tran (D-42), would ban many commonly owned semi-automatic rifles and handguns as well as ammunition magazines greater than ten rounds in capacity, encompassing most standard capacity magazines in use by law-abiding citizens. In addition, it would ban the carrying of certain shotguns by individuals who do not have a concealed carry permit. House Bill 2604, sponsored by Delegate Jeion Ward (D-92), would reinstate a handgun rationing law that was in place from 1993 until it was repealed in 2012. It would limit handgun purchases to one per 30 day period. Unfortunately for you Florida is headed the wrong way quickly. FL like VA used to be one of the bastions of gun freedom. But it seems like they have made a hard left turn recently. How do you feel about all the noise they're making down there about NY style restrictions? For most they can order a gun online, easy peasy, yes. But you have to ship it to a FFL, make sure said FFL is on the sellers list (if not they have to send their info in) wait for it to arrive, or go to a gun store and purchase, fill out the 4473, wait while they do the nics check, hope you don't get delayed (3 days wait) Then either walk out with your gun or come back in 3 days, unless you were flat out denied (tons of reasons for delays/denials) And again, the point is, if you are a law abiding citizen following the framework of the laws already in place, it SHOULD be easy to purchase a gun. Many in this thread think you just walk into a store, plunk your money down and walk out. Sometimes that's the case after the 4473 and nics, but oftentimes you end up waiting for awhile and or get delayed. I used to get delayed every time because someone with the same name had a lengthy criminal history. For me here in WV it's easy as can be. I got to bypass all the safety course bs because I have a valid dd214. Show that to the clerk, pay my $75, come in a few weeks later to pick up my ccw. CCW holders in WV don't have to deal with the nics check, so I buy what I want, have it shipped to my ffl, fill out my 4473, pay my transfer fee and I'm out the door. No nics check, the ffl just files the form away in case the ATF needs to see it at some point. For most it's not that fast/easy. And for me at first it wasn't either. 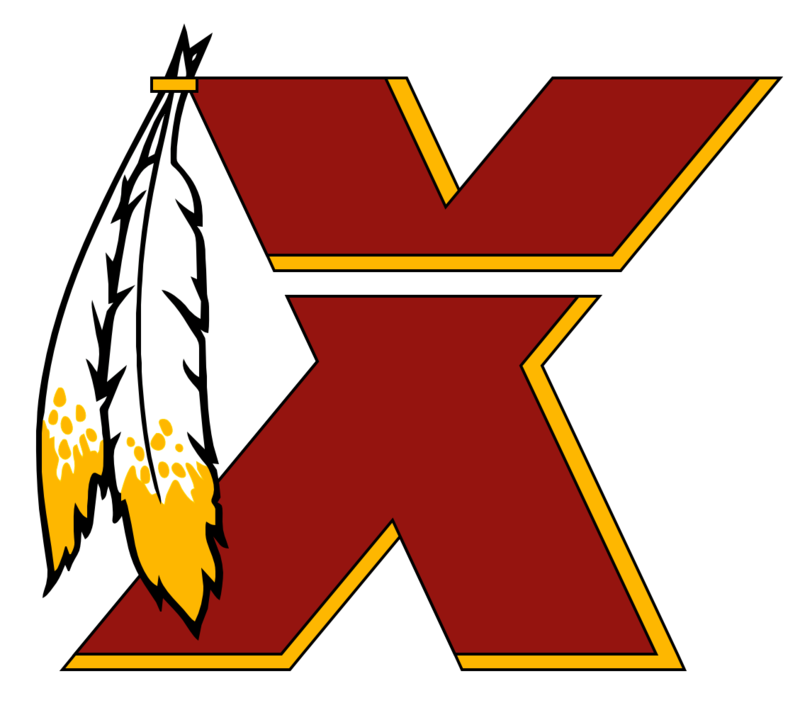 I just chose DC because it's the nearest big city with oppressive firearm restrictions, and also the home of this team. Statements like that make it sound like you have no idea the hoops you actually have to jump through to legally buy a gun. I can't tell if it's just hyperbole or if you honestly think that's the case. If a person is a law abiding LEGAL citizen, and the 2a affords all the right to keep and bear arms, why should it be any harder to LEGALLY buy a gun than a gallon of whole fat milk? That's kind of the point of the 2a. Yes we have free movement, but don't think for a second that places like DC, or states like maryland won't hesitate to make an example out of you quick fast and in a hurry if you come into their state with "illegal" firearms or magazines. I live in the WV panhandle, 10 minutes north and I'm in MD. MD doesn't recognize my ccw, and doesn't give a **** where I live, if I carry a STANDARD capacity magazine in MD and get caught with it, I'm a felon. So I just avoid Maryland. I'll tell you what though. You try taking a pistol with a standard cap magazine into MD and let the police catch you with it.. then get back to me about local restrictions being useless. They don't give a **** who you are or where you're from or what your excuse is, they can and WILL prosecute you. It's been battled out in courts for quite awhile, the SC typically refuses to hear 2a cases, I think mostly because of the lasting impact it would have, either good or bad. Much of the law banning "dangerous and unusual" weapons date back to the NFA act of 1934. Because of the SC's reluctance to hear 2a cases, it has stood for 70+ years. and by dangerous and unusual, that mostly deals with short barreled "easily concealed" weapons. It did also impose restrictions on suppressors. Many like to focus on the word "militia" exclusively, but "the right of the people" often goes ignored. Many tend to define militia using a modern day understanding of what a militia would or should be. To me, it means the militia is necessary to the security of a free state, as well as the right of the people to keep and bear arms. Many assume it means the people have to be in a militia to exercise that right, but to me and many others it clearly reads the people have the right to keep and bear arms. Personally I think the NFA is bull****, as well as the 86 mg ban. for reasons I'll detail below. Unfortunately it's a moot point due to the 86 mg ban. However, having fired plenty of fully automatic weapons (class 3 buddies) and 3 round burst m4's (Army) , I do agree it's not very practical, but not for the reasons you think. Ammo goes REAL fast in FA, and barrels get hot VERY quickly after a few mag dumps. Even with a light recoiling weapon like an AR, it's really hard to keep rounds on target after the first 5-7 shots. Just like the Army found out in Vietnam, it's a waste of ammo for the most part. Controlled, aimed shots are better imo. But FA is a bunch of fun to shoot. He's right. It's not the best offensive weapon, but it's a convenient one. An ar15 with a 30 round magazine in a mass killing scenario is no more or less deadly than a glock pistol with a 33 round mag, or a mini-14 with 20-30rd mags, or a scorpion pistol, or any number of other guns with the same mag capacity. That seems to be the main sticking point of banners, the AR is scary looking and can hold 30 rounds.. Plenty of other guns can hold just as much if not more, and are more concealable and more "powerful" than a tiny .22 caliber bullet. Those other guns are just not used because AR mags are plentiful, and cheap, just like parts for AR rifles, they're available everywhere and you can frankenstein whatever you want really easily. If people have been judged mentally deficient then no, they should not be allowed. I think that certain classes SHOULD be available, the NFA and associated $200 tax stamp is bull****. especially with regard to suppressors. as for needing hundreds or thousands of rounds, or tons of guns, it's not about NEED. If I want to have that much, and am a law abiding citizen, why should it be restricted? the 2a is not about NEED. Just like 1a is not about the NEED to speak more than a few paragraphs. it's a RIGHT. Why should you be allowed to speak more than a few sentences? Who needs that? "Need" needs to be taken out of the conversation entirely. RIGHTS are not about who needs how much of what, they're called inalienable rights for a reason. It really bugs me that people have been able to steer the conversation to need.